I called my brother this morning for a friendly chat. In the midst of our talk, I was reminded of a most important thought – Jesus is building His church. As benign as the statement may seem, it is as revolutionary today as it was 2000 years ago when first declared. At its reading, every pastor, church leader and missionary should breathe a refreshing sigh of relief. Instead, we tend to glaze over its true meaning in our haste to get to the next board meeting. The most important word in this statement is the one-letter one – I. Jesus is building His church. It, or rather, she (the church body), is His. The One passionately in love with her should be the one nurturing His bride into maturity. We live a paradox – the bride of Christ is the fullness of Him in the earth. We are His partner and we are Him in the earth. There are characteristics of our part as companion that differ from our role as Him. I believe it is misinterpretation of roles to believe we are to be building His church. 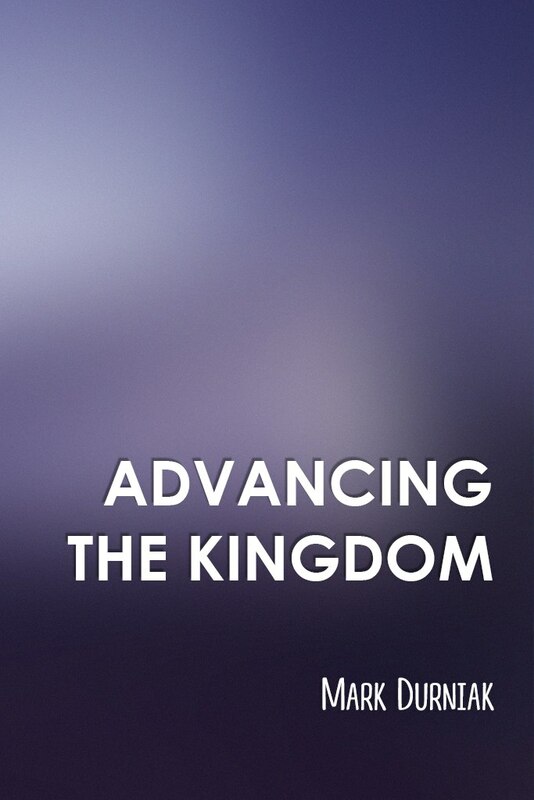 Instead, we have different directive from our Lord – to advance the kingdom of God. That, my friends, is our great commission. To express what He has built into our everyday lives as the church. To be Him in all the world. Most historic and present church conflict occurs over how to build the church. Brothers and sisters separating over things more rightly under the administration of our Lord. Our role as the church is to be ministered to by the Lord. Our role as kingdom ambassadors is to be Him. As the church, we receive from Him. As the kingdom, we increase Him in the earth. If the Father’s children were operating under their true mantle of making disciples, they would realize the importance of being ministered to as the church. Instead of fighting about how to do church, we would simply appreciate His Spirit’s impact upon us as we gather. Imagine the energy expended on building the church being transferred to advancing the kingdom. Every job, every shopping trip, every meeting, every time we interact with society it becomes an intentional expression of Christ. It has been the enemy’s plan since the dawn of creation for man to question and alter his identity and role. The deception is still alive today. Get the children of God fixated on who they are not and they will frustrate their way into impotence. Don’t allow this tragic plot to continue. Each of us can decide now to value what is our role and surrender to what is the Lord’s role. The conflict that arises when we must have input on how the church is built is causing our love for one another to grow cold. It is an unnecessary evil killing the virtue of the most life-giving organism this world has ever known. The solution is simple: repentance – changing the way we think about ourselves, each other and the Lord. It will take an ongoing act of our will to alter hundreds of years of habitual thinking. I am personally committed to this process in me and my church family. We will have to be fervent to see church as an incubator of God’s loving, governing arm – His bride. We will be wise to spend less time ministering in our gatherings and more time allowing Him to minister to us. With His pure impartation, we touch the world. This simple, yet powerful view will bind us together in a unity Jesus saw in John 17. And the world will never be the same.